Knowing we were going to be experiencing freezing cold temperatures last week I decided to cook up a huge batch of chili last Sunday for us to eat on during the week. 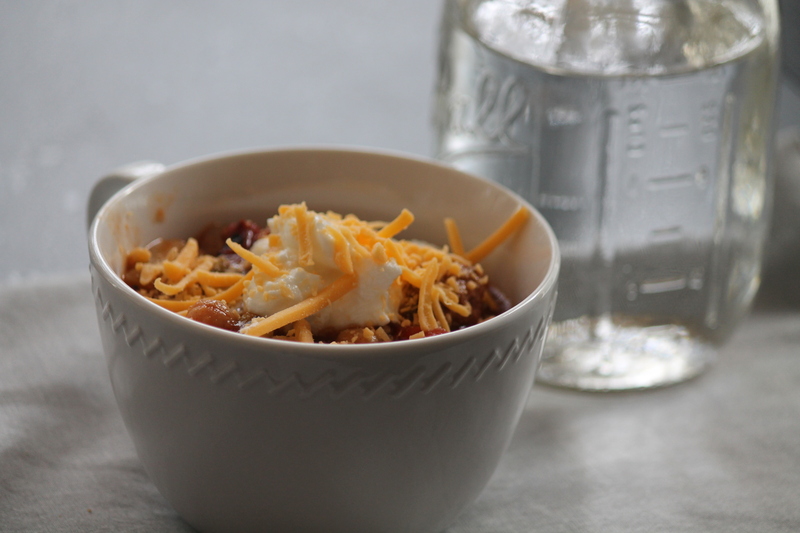 When it comes to making chili you really can’t go wrong. 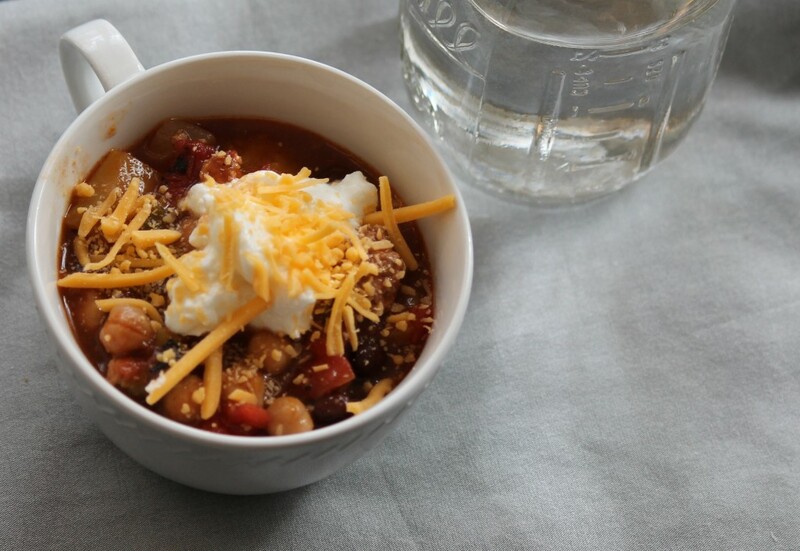 You simply throw in the basic ingredients add in your favorite beans, meat and veggies and walk away to let the flavors work their magic. You can alter the ingredients based on what you have on hand and customize it based on your families preferences. Not a meat eater? No big deal, just leave out the meat and add in more beans. 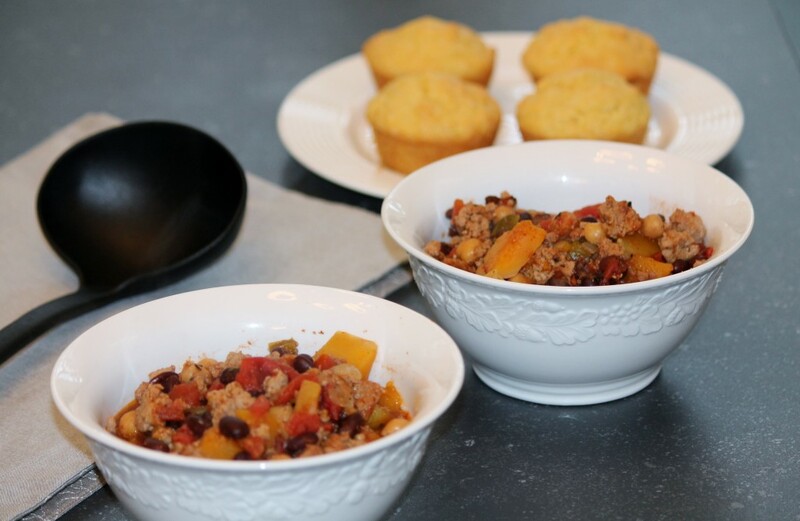 This butternut squash and turkey chili is without a doubt my new favorite chili recipe. It’s packed full of veggies, protein and spices and the butternut squash adds a hint of sweetness to this bowl of goodness. I like to cook this low and slow all day long to allow the flavors to marinate together. 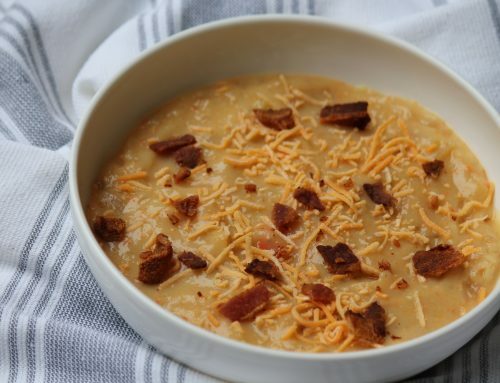 Simmer on the stove top or better yet, throw everything in the crock pot and come home to a healthy and delicious dinner. Just be sure to brown the turkey before adding it to the pot. 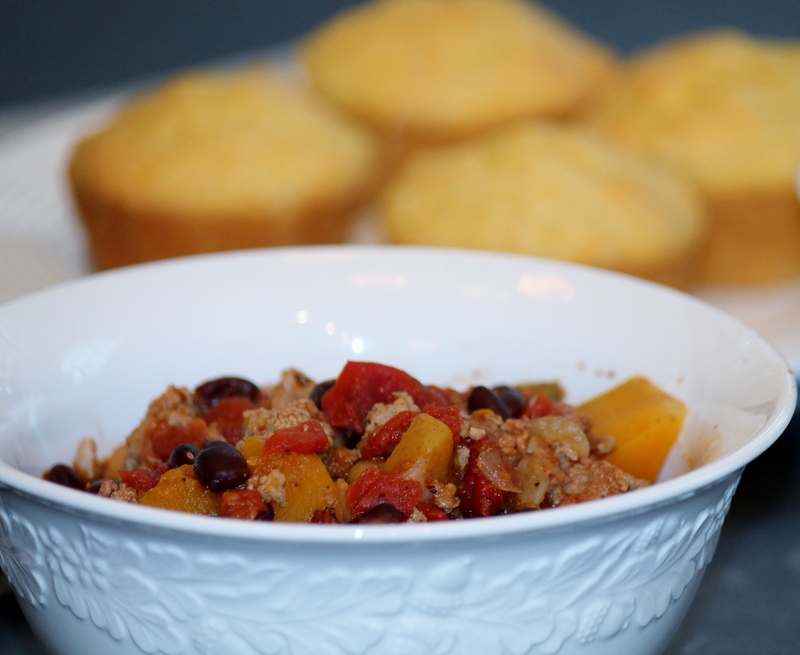 If you choose you can top the chili with shredded cheese, avocado, or Greek yogurt and for the ultimate comfort meal serve it with whole wheat cornbread on the side. Add in butternut squash, chopped pepper, beans, chilies and tomatoes. Simmer on the stove top for at least one hour or in the crock pot on low for 6-8 hours. This looks so great! 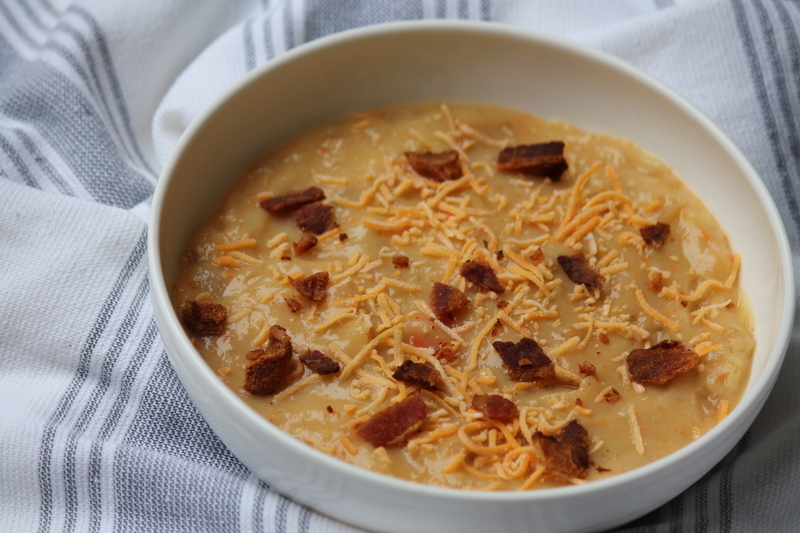 Adding it to our menu for next week!